A few weeks ago Fitbit updated their Windows Phone app and at the time indicated that a new and improved Windows 8.1 version was in the works. That update has now been released and it is impressive. Fitbit for Windows 8.1 is to a large extent a complete overhaul of the app’s user experience but equally as important, it finally brings proper background syncing of your Fitbit to your PC. that you would expect to be there are in the app including the ability to track your diet, log water and sleep and the like. The biggest change to the Fitbit for Windows 8.1 app though is the improved sync. Well actually the fact that it syncs at all. In the old app it was dependent on the data it was pulling down from the Fitbit website. That’s great right up until you haven’t synchronized your data through the Windows Phone app. It was a frustration that you could avoid to a degree by installing the Fitbit desktop app (not the Windows 8.1 one) and use the USB dongle to sync it. But this process was, at best, unreliable. While you still have to use the USB dongle that comes with your Fitbit, it will do a background sync and keep the new app up-to-date with your steps, calories burned and so forth. 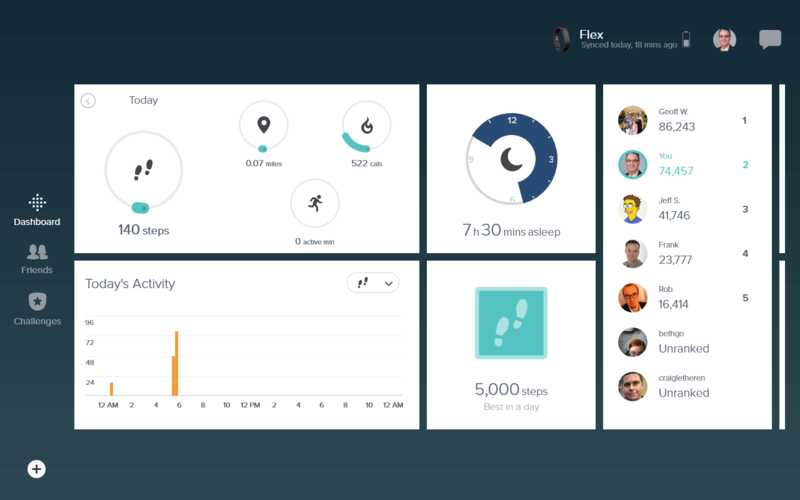 The new Fitbit for Windows 8.1 is available now in the Windows Store and it is free of charge.